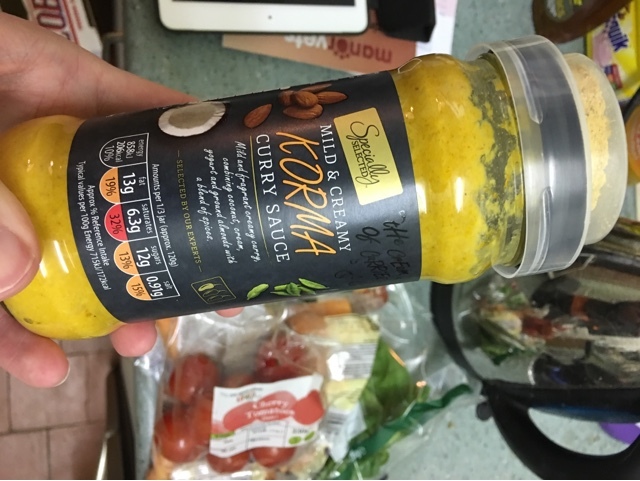 I've been gravitating towards the curry sauces in the cold weather, and shops have started to add a few twists to their ranges. Here we have one from Lidl (I think!) that has the spicy part on top so you can tailor the strength a bit and get a richer flavour. Naturally it all goes in for me - especially with korma. Usually I'd chop up a red chilli and have little bits of that in too, but when reviewing its polite to try as is. We had it with quorn instead of chicken and a few veggies. It's not much to look at but its pretty good. Spicy enough to be interesting but to taste the flavours underneath. 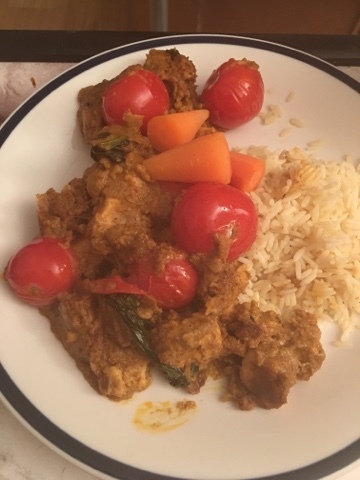 A good quality option that's cheaper than popping to the takeaway and barely any slower than an all in one sauce - you just brown the spices before you add the meat or quorn.